Those are the lyrics of one of my favorite songs from the end of elementary school. 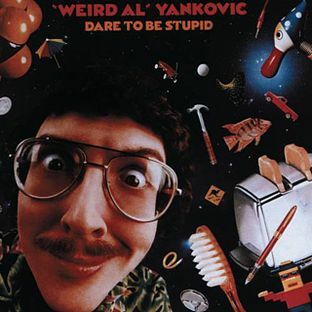 Though I’m not incredibly proud to admit it, Weird Al was just about the only artist I listed to regularly at the time. My friends and I memorized line after line of his lyrics and sang them passionately whenever we could. Looking back, this was not your everyday obnoxious childhood phase. In his own strange way, the man who wrote such memorable parodies as “Couch Potato,” “Trash Day” and “A Complicated Song” played a major role in the development of my musical taste. During my preteen years I was (and to a certain extent still am) the type of kid who saw everyone else doing one thing and did the exact opposite. If I was a salmon (warning: left-field analogy coming up), while all my peers swam upstream, I would be the one smugly standing still or escaping downstream. For whatever reason, I could not justify doing something simply because other people it was cool. The past nine or so years have mellowed me out significantly; I am no longer the annoying dare-to-be-different kid I once was, but I still retain certain fragments of that mindset. And every now and then I still pull out those old albums for a chuckle. It makes me blush to think that I once obsessed over those lyrics, but it makes me smile to remember how they taught me it’s okay to go another way.